William Adolphus Akhurst lived at 1844 Barclay Street from 1914 to 1924. Although he had an engineering background, he spent much of his career selling industrial machinery and supplies. He was born at Coaticook, Quebec, on January 12, 1878. His father was Robert Akhurst; his mother was Alice Hunt. He studied mechanical engineering and went to work for the Canadian Rand Company at Sherbrooke, Quebec until 1903. Then he moved to Vancouver, where he worked with the Canadian Fairbanks Morse Company. In 1938, he established Akhurst Machinery Ltd., which sold industrial equipment, machinery and supplies. He was a member of the Vancouver Club, the Vancouver Yacht Club and Shaughnessy Golf Club. On June 21, 1906, in Coaticook, Quebec, he married Winifred Eliza Nunns. She was born in the province of Quebec on February 25, 1878. Her father was Francis Henry Nunns; her mother was Mary Stevens. Winifred was active in the Elizabeth Fry Society, and she received Vancouver’s Good Citizen award for her work in aiding women prisoners. She was a former president of the Women’s Canadian Club, and was on the executive of the Women’s Musical Club. For seven years, she was president of the St. Andrew’s Wesley United Church Women’s Missionary Society. William died in Vancouver on June 5, 1950. He was buried in Ocean View Memorial Park in Burnaby, British Columbia. Winifred died in Vancouver on January 29, 1966. She was buried in Ocean View Memorial Park in Burnaby. Francis Robert Akhurst was born in Vancouver on July 3, 1907. He married Ann Hall. He died in Vancouver on February 18, 1955. He was buried in Ocean View Memorial Park in Burnaby. Harold Weldon Akhurst was born in Vancouver on August 17, 1913. On September 14, 1940, he married Jeanne E. Loghrin. Doris Winifred Akhurst was born in British Columbia on July 15, 1922. She died in Vancouver on November 7, 1922. “Canada Census, 1871,” index, FamilySearch (https://familysearch.org/pal:/MM9.1.1/M4K4-HWB : accessed 01 Mar 2014), Robt. Akhurst in household of H. M. Cummings, Coaticook, Stanstead, Quebec, Canada. “Canada Census, 1891,” index, FamilySearch (https://familysearch.org/pal:/MM9.1.1/MW5G-DK1 : accessed 01 Mar 2014), Robert Akhurst, Coaticook Town, Stanstead, Quebec, Canada. “Canada Census, 1901,” index, FamilySearch (https://familysearch.org/pal:/MM9.1.1/KHRH-K2Z : accessed 01 Mar 2014), Robert Akhurst, 1901. “Akhurst, Robert, b. 1848, d. 1922, s/w & husband of Alice Hunt,” Mount Forest Cemetery, Coaticook, Stanstead County, Quebec, http://www.interment.net/data/canada/qc/stanstead/mtforest/forest_ae.htm. “Hunt, Alice M., b. 1859, d. 1949, s/w & wife of Robert Akhurst,” Mount Forest Cemetery, Coaticook, Stanstead County, Quebec, http://www.interment.net/data/canada/qc/stanstead/mtforest/forest_fm.htm. William Adolphus Akhurst, Who’s Who in Western Canada, 1911, pages 91-92; http://www.ourroots.ca/e/page.aspx?id=643085; http://www.ourroots.ca/e/page.aspx?id=643086. William Adolphus Akhurst, British Columbia From the Earliest Times to the Present, Biographical, Volume 3, Vancouver, British Columbia, S.J. Clarke Publishing Company, 1914, pages 475-476, https://archive.org/stream/britishcolumbiaf00schouoft#page/475/mode/1up; https://archive.org/stream/britishcolumbiaf00schouoft#page/476/mode/1up. 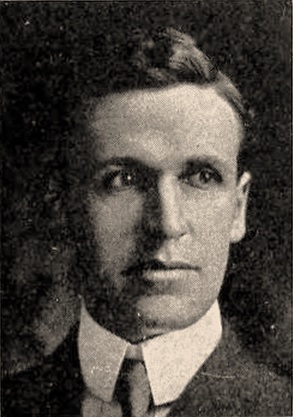 William Adolphus Akhurst, Northern Who’s Who (Who’s Who and Why), 1916, pages 8-9. “Canada Census, 1891,” index, FamilySearch (https://familysearch.org/pal:/MM9.1.1/MW5G-D29 : accessed 01 Mar 2014), William Akhurst, Coaticook Town, Stanstead, Quebec, Canada. “New York, Passenger Arrival Lists (Ellis Island), 1892-1924,” index, FamilySearch (https://familysearch.org/pal:/MM9.1.1/J68N-359 : accessed 01 Mar 2014), William H. Akhurst, 16 May 1920; citing Mauretania, United States National Archives, Washington, D.C.
“British Columbia Death Registrations, 1872-1986,” index and images, FamilySearch (https://familysearch.org/pal:/MM9.1.1/FLR4-GKW : accessed 01 Mar 2014), William Adolphus Akhurst, 1950. British Columbia Death Registrations, Registration Number: 1950-09-005768, William Adolphus Akhurst, http://search-collections.royalbcmuseum.bc.ca/Genealogy/DisplayGenealogyImage?k=66b5876c-17e7-47e9-9727-fb64120ceaab. “W.A. Akhurst, Industrialist, Dies Aged 71,” Vancouver Sun, June 5, 1950, page 17. “Machinery Pioneer Dies at 73,” Vancouver Province, June 5, 1950, page 11. William A. Akhurst, death notice, Vancouver Province, June 6, 1950, page 13; Vancouver Province, June 7, 1950, page 23; Vancouver Sun, June 6, 1950, page 21; Vancouver Sun, June 7, 1950, page 27. “Canada Census, 1881,” index, FamilySearch (https://familysearch.org/pal:/MM9.1.1/MVNG-476 : accessed 01 Mar 2014), Wenneeford Nunns in household of Francis Nunns, Kingsey, Drummond & Arthabaska, Quebec, Canada. “Canada Census, 1891,” index, FamilySearch (https://familysearch.org/pal:/MM9.1.1/MW5G-ZRT : accessed 01 Mar 2014), Elizabeth Nuns, Coaticook Town, Stanstead, Quebec, Canada. “Canada Census, 1891,” index, FamilySearch (https://familysearch.org/pal:/MM9.1.1/MW5G-ZRY : accessed 01 Mar 2014), Winnifred Nuns, Coaticook Town, Stanstead, Quebec, Canada. “British Columbia Death Registrations, 1872-1986,” index and images, FamilySearch (https://familysearch.org/pal:/MM9.1.1/FLYB-6LC : accessed 01 Mar 2014), Winifred Eliza Akhurst, 1966. British Columbia Death Registrations, Registration Number: 1966-09-001934, Winifred Eliza Akhurst, http://search-collections.royalbcmuseum.bc.ca/Genealogy/DisplayGenealogyImage?k=2f88bc2b-1716-436a-ac24-9754b7dc2d26. “Good Citizen Dies,” Vancouver Sun, January 31, 1966, page 14 (includes photograph of Mrs. Akhurst). “Rites today for good citizen ’54,” February 1, 1966, page 20 (includes photograph of Mrs. Winifred Akhurst). Winifred Eliza Akhurst, death notice, Vancouver Sun, January 31, 1966, page 31; Vancouver Province, February 1, 1966, page 24. “British Columbia Death Registrations, 1872-1986,” index and images, FamilySearch (https://familysearch.org/pal:/MM9.1.1/FLRD-2R4 : accessed 01 Mar 2014), Francis Robert Akhurst, 1955. British Columbia Death Registrations, Registration Number: 1955-09-003967, Francis Robert Akhurst, http://search-collections.royalbcmuseum.bc.ca/Genealogy/DisplayGenealogyImage?k=482c8180-3f58-4b88-a231-f8a32d7e8f58. Francis (Frank) Akhurst, death notice, Vancouver Sun, February 21, 1955, page 26; Vancouver Province, February 21, 1955, page 26. Harold Weldon Akhurst, Canadian Who’s Who, 1964-1966, pages 8-9. Harold Weldon Akhurst, Who’s Who in B.C., 1969, page 14. Harold Weldon Akhurst, British Columbia Who’s Who, Edmonton, L.U.L Publications Ltd., 1981, page 83. “Idaho, Eastport, Arrival Manifests, 1924-1956,” index and images, FamilySearch (https://familysearch.org/pal:/MM9.1.1/KF6D-39B : accessed 01 Mar 2014), Harold Weldon Akhurst, 1965. “British Columbia Death Registrations, 1872-1986,” index and images, FamilySearch (https://familysearch.org/pal:/MM9.1.1/FLKN-YLL : accessed 01 Mar 2014), Doris Winifred Akhurst, 1922.